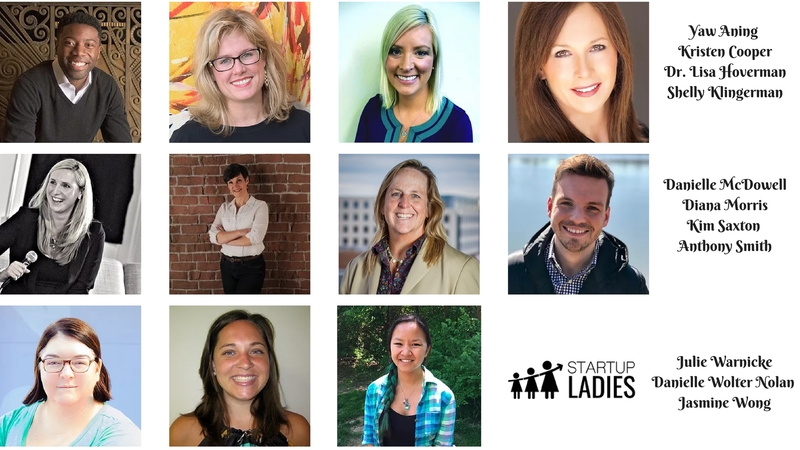 The Startup Ladies identify, educate, connect, and increase investment in women entrepreneurs starting up and scaling business. We do this through monthly Meetups and bi-monthly Startup Study Halls. The Meetups allow attendees to build relationships with experienced executives and fellow budding entrepreneurs. The Startup Study Halls provide the structure, consistency, and accountability to focus on moving your idea forward. Diversity is a competitive advantage – both men and women are invited to attend all events. Startup Ladies are based in Fishers, Indiana. Still, we hold monthly networking and learning opportunities here in Terre Haute as well. You can find these events on our calendar, and they are usually the 4th Wednesday of every month at 12 noon. Eliminating Barriers for Women. In an effort to eliminate barriers that were preventing women from starting up a business, Kristen Cooper created an educational series called Startup Study Halls in July 2015. Seasoned executives were invited to teach strategies and tactics that could be applied immediately to an idea, start-up or growth-stage company. The class size is kept small so that participants have the opportunity to discuss their challenges and ideas. Study Halls are free, however, registration is required. Working together to forge connections and support each other helps those involved to build both the knowledge and courage to take the next step in executing their startup idea. The monthly Meetups provide the community and camaraderie you need when embarking on a new business venture. Startup Study Halls provide the structure, consistency, and accountability to support new entrepreneurs.